A month or so ago, I read this Wall Street Journal article by Elizabeth Holmes, in which she discusses forgoing one's usual tote for a smaller handbag, or what my grandmother would call a "pocketbook." I promptly laughed—yes, I do need my iPhone charger, 57 gift cards I'm never going to use, full-size notebook, three lipsticks, extra shoes, and collapsible umbrella—and forgot about it. A few weeks later, I was getting a massage. The masseuse guessed that I carry my bag on my left shoulder. She was right, but I figured she had a 50-50 chance of guessing correctly, and I told her so. Bemused, she then pointed out all the problems my (heavy) bag was creating in my body: cramping in my opposite foot, tightness in my opposite shoulder, inflexibility in my neck, tilted hips, and so on. She was right about all those things, too. "You need to carry a smaller bag," she said, "or you're going to have to start wearing orthopedic shoes." And you all know how I feel about that. 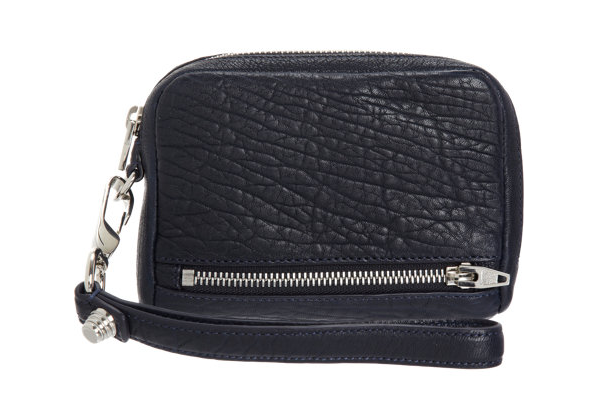 Phase one of my plan involved a move I picked up from Holmes' article: I traded my huge continental wallet for an Alexander Wang Fumo wristlet and stashed it inside my usual bag. When I ran out to grab lunch, I'd throw my iPhone inside (it fits perfectly) and leave my albatross, er, tote at my desk. The Fumo is great because it has a well-structured series of pockets and compartments; it forced me to pare down to four credit cards, but it still has room for cash, receipts, coins, and whatever else you want to throw inside. It also has a removable wrist strap, which makes me feel a bit more secure about walking around Midtown with my wallet in my hand. It was truly liberating. I wanted more. 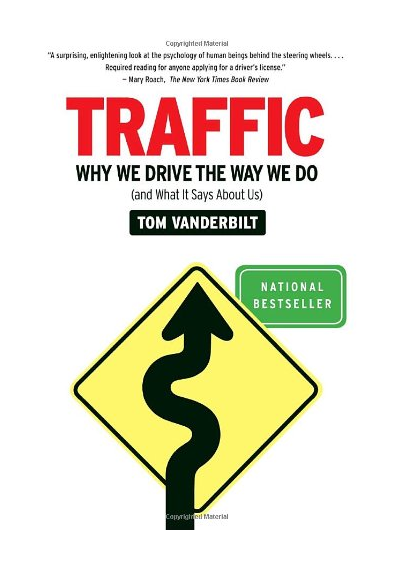 A few years ago, MW bought me a fantastic book called Traffic: Why We Drive the Way We Do, a must-read for anyone with road rage, and I cite it repeatedly in conversation. There's a chapter that talks about road congestion and the strange thing that happens when you add more lanes to a highway: it gets more crowded. Ok, really, stick with me—I do have a point. Anyway, the book concludes that the best way to control traffic is actually to restrict it, and thus I saw the parallels: A bigger purse allows me to carry around more crap, and so I carry around more crap. The only way to carry less crap is to get a smaller purse. Less space, less crap. A major purge was in order. I filled an entire makeup bag with junk from my purse that I now keep in my office drawer. I call it my "lady bag," and it contains coupons, tampons, ibuprofen, an emergency flash drive, and, yes, that iPhone charger. I traded my giant Prada makeup bag for this small nylon pouch from C. Wonder , which conveniently has a C for Cheryl already on it. I have two pens (what if one dies?! ), a tiny notebook, headphones, my MetroCard, work ID, card case, Baggu, silk scarf, mini pack of Kleenex, purse hanger, sunglasses, and keys. I pared down to the bare minimum. I was ready. 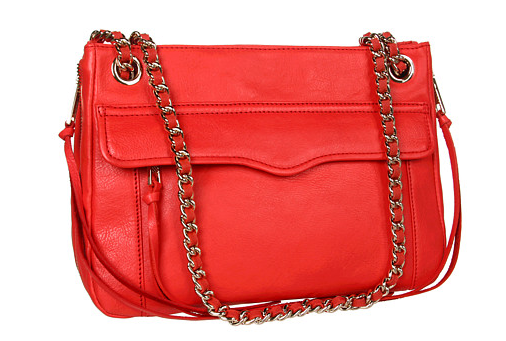 Phase two had several false starts—I severely overestimated my downsizing abilities and ordered (and returned) two comically small options—until I came across the Rebecca Minkoff Swing bag, which I promptly bought in red, pictured here. Minkoff makes a darn good purse, and the Swing is testament to that: There are pockets galore (three zip, two slip), the bag itself is expandable via a zipper along the base, and the shape is such that you can put bigger items on the bottom while still being able to close the magnetic snap at the top. 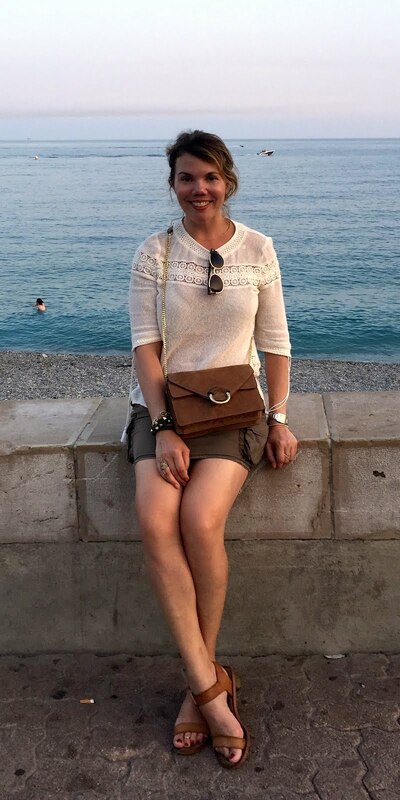 My favorite part, however, is the chain strap: It can be doubled and worn on the shoulder, or be lengthened and worn as a crossbody, giving it versatility without adding an extra (read: heavy) strap. I'm also amazed how easily the chain strap stays on my very sloped shoulders; Coco Chanel, to whom this bag owes a great debt, was onto something. Even more amazing, however, is that the Swing bag fits all my stuff, and I haven't even needed to expand it yet. Then again, I have everything I need now—why carry more? Furthermore, and with your purchase, sister, photo, brothers, in order to ensure you to bond with her sister will be able to send a signal that the photo printing office in any of the benefits of online shopping. If you have large-scale canvas paintings and some of the spirit that run multiple print jobs to print a collage of photos. The photos are a great gift for just a short list. Currently there are a number of nurses. Your send treats to Asia online option can also be availed with regard to wedding party treats. Send Flowers to Mumbai Marriage is among the most critical situations throughout your lifestyle and also everybody expectations themselves and also closest pals for being existing during their wedding party. Since that's not often possible, an effective wedding party reward is often a have to even when one particular is not able to be found bodily. Almost all online reward shops include several wedding party treats with regard to customers available. Sets from jewelry to clothing to components of redecorating a whole new household can be acquired to ensure the shopper can do his / her far better replace with his / her shortage.